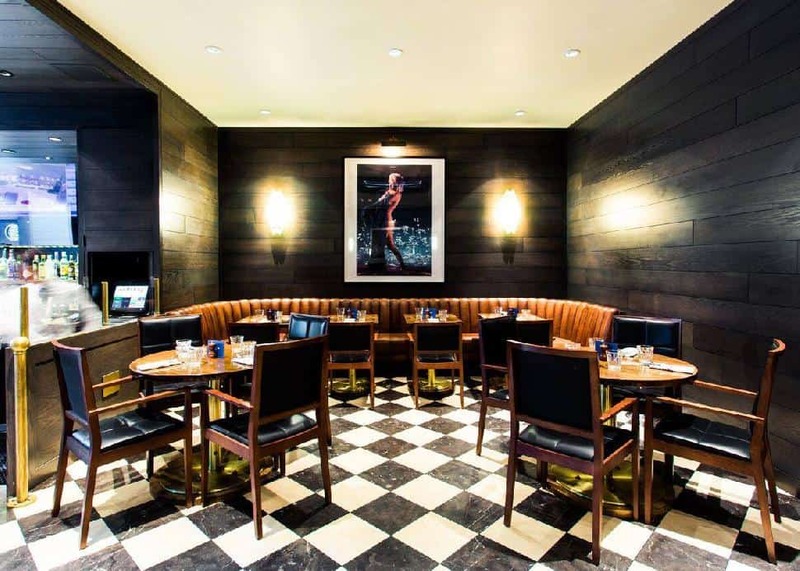 Locus Restaurant & LoungeMain Street mainstay Locus offers its first four-course fixed price Valentine's menu this February 14th from 5 p.m. to 10 p.m., showcasing fish, meat and vegetarian options at $45 per person (or $70 per couple). Executive Chef James Green will feature a colourful "amour" salad—boasting playful red and purple veggies—followed by a choice of two soups: a lobster and roasted celeriac bisque or a mushroom consommé. 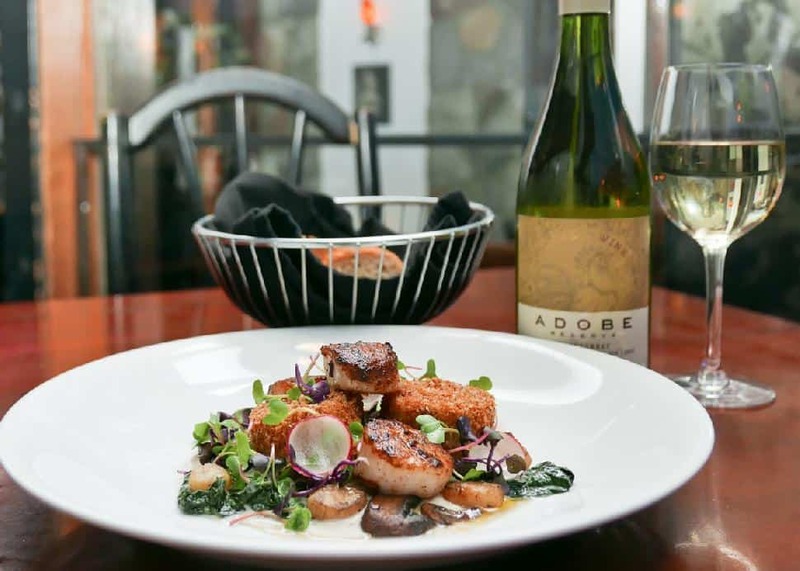 Main courses offer diners the choice of Fraser Valley rabbit, Hokkaido scallops, or beet and chevre quinoa. Dessert is a classic mille-feuille, made with raspberries, Belgian chocolate, Chantilly cream and puff pastry. Wine pairings for each course are available for an additional charge of $20. Coal Harbour favourite Cardero's offers a special menu on Valentine's Day, with items available a la carte and live music all evening. Available that evening only are the Cupid's Platter—boasting crab cake, jumbo prawn and Oyster Rockefellers—as well as entree options of both 10-ounce strip loin or Macadamia nut crusted mahi mahi and a molten chocolate cake with vanilla gelato for dessert. 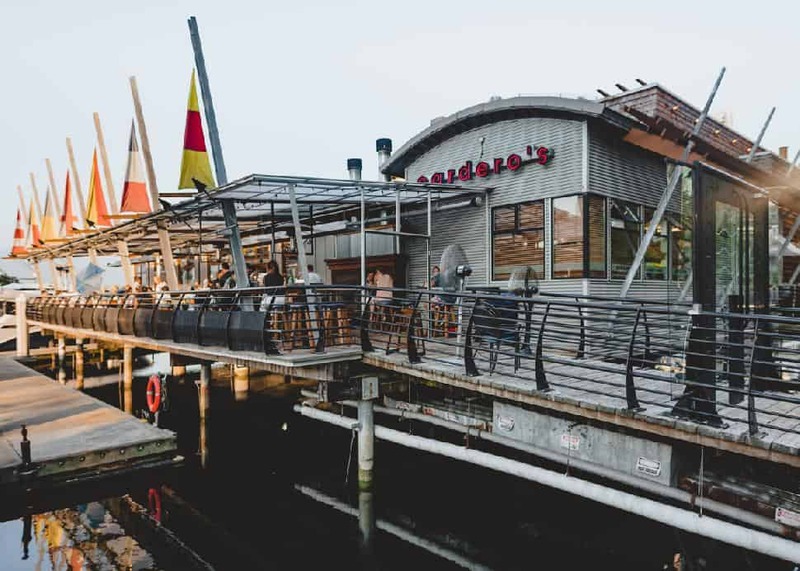 Granville Island's popular spot also offers live music all evening, coupled with a special romantic menu featuring a la carte items. Starter options include the oyster platter for two or Hoshi Sushi's ebi aburi roll. Steak Oscar and Lobster Thermidor are up as entrees, with pavlova or chocolate lava cake rounding out the meal. Tucked in Stanley Park, the Teahouse showcases a three-course menu, with enhancements available, available February 14th, 15th and 16th. For $75 per person, the base menu is highlighted by an entree choice of Filet Mignon & Lobster, Sablefish or Red Beet Risotto. Perched atop Queen Elizabeth Park, Seasons in the Park also features a three-course menu from February 14th to the 16th at $65 per person. 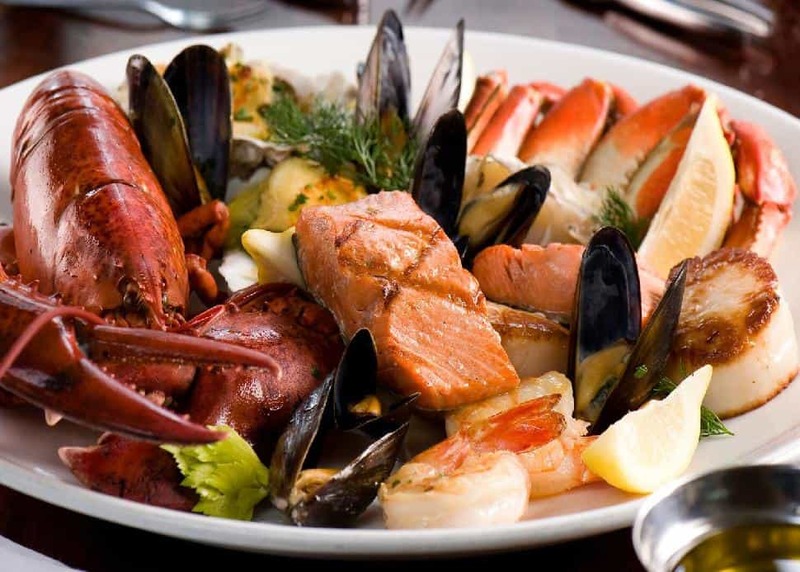 Filet Mignon, Duck Confit or Lobster Ravioli are the three options for mains, with add-ons of a half-lobster or grilled prawns available for an additional charge. Facebook/Thierry ChocolatStaying in on Valentine's Day? 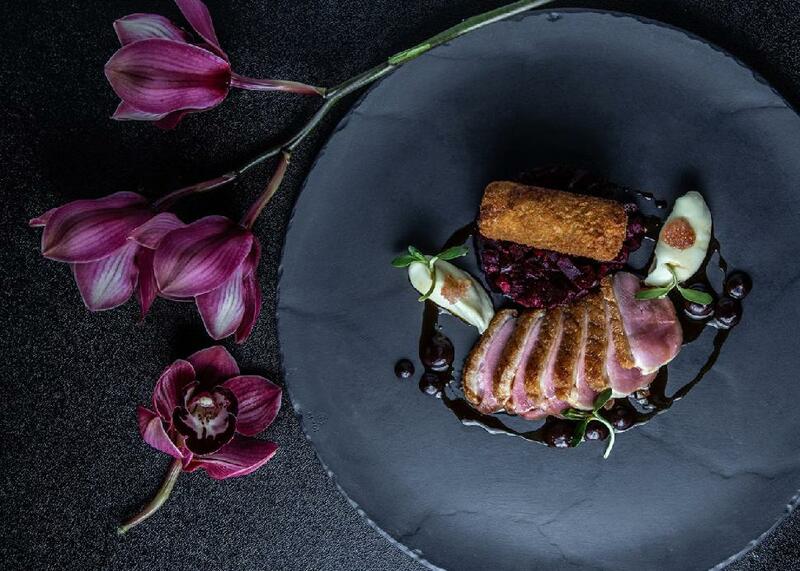 Make a meal at home into a romantic celebration with a dessert from Chef Thierry Busset. 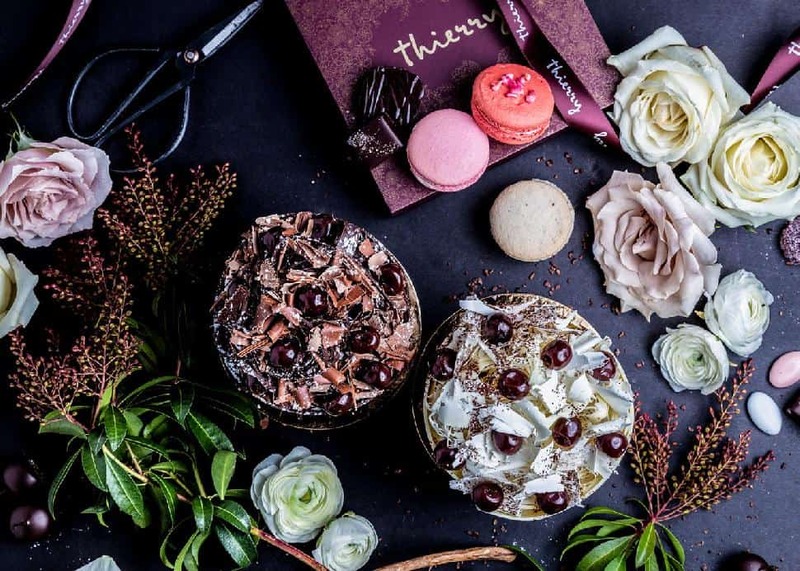 Thierry Chocolaterie Patisserie Café is serving up classic cakes, reintroducing their popular Romeo and Juliet selections. Available in a foret noir (Romeo) and foret blanc (Juliet), they appeal to those who adore black forest cakes, with the Romeo option leaning toward the traditional and Juliet opting for a vanilla and white chocolate slant. Joe FortesJust off Robson, at Vancouver's venerable Joe Fortes, the "Lover’s Platter" for two is available from February 14th to 17th for $174.95 and boasts a pound and a half of lobster, plus snow crab, jumbo scallops and prawns, wild sockeye salmon, Oysters Rockefeller, steamed mussels, pico de gallo and drawn butter. Steak additions are available in two cuts. Facebook/Crowbar East VanPromising a "den of seduction", Fraserhood's cozy Crowbar ie relying on steak and cocktails to provide some romantic ambience in East Van. Only 14 dinners-for-two are available, with a 32-ounce organic ribeye, feature pasta, fresh bread and decadent dessert on the plate. 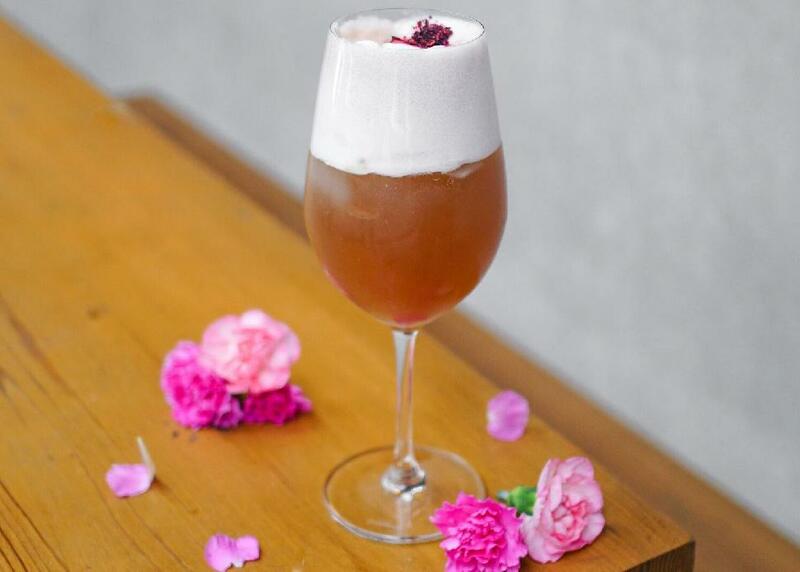 Plus a Pulp Fiction-themed cocktail uses a combination of gin, Campari, Becherovka, blood orange liqueur, lemon juice and sparkling wine to mix up a "sultry aphrodisiac." 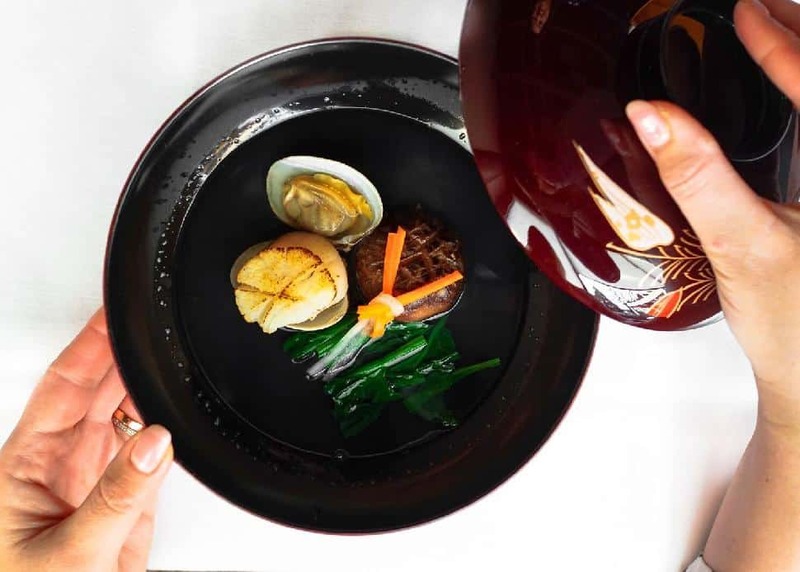 Miku serves a multi-course dinner for $98 per person—with a optional sake pairing for an additional $45—billed as a "full seafood experience." Evening exclusives include oysters prepared two ways, Alaskan king crab, a salmon entrée and two new Aburi nigiri: sablefish and Selva tiger prawn. At sister spot, Minami, Valentine's Day offers a few special dishes: Maguro sashimi trio—with three cuts of red tuna, a surf and turf entree with halibut and beef tenderloin and, for dessert, a Manjari chocolate cherry tart. LaduréeSophisticated French confectionery and café Ladurée showcases a gorgeous macaron gift set—designed by French stylist and illustrator Marie-Victoire de Bascher—and special themed pastries. The seven-piece macaron gift box is pink, topped with a paper rose, and features selections from 14 available flavours, running $38. 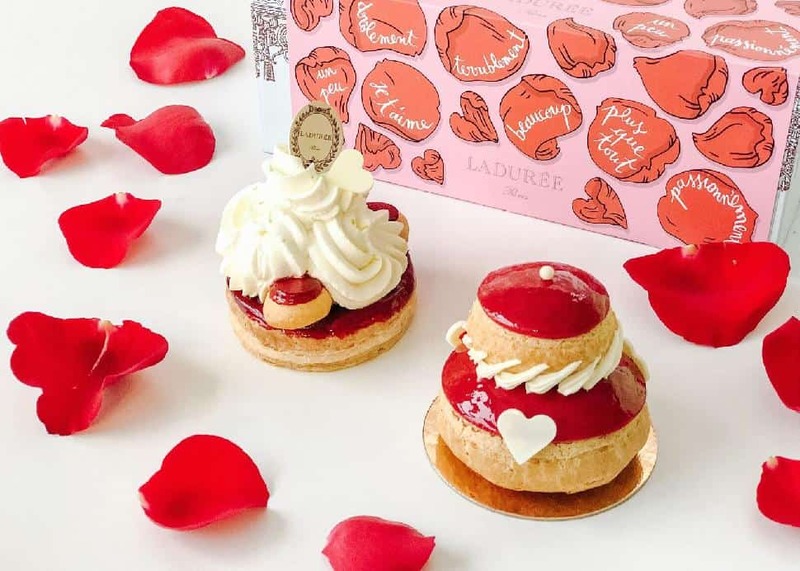 At the Ladurée boutique and tea salon, a special romance menu serves guests tea, coffee or hot chocolate, along with two macarons, a Valentine’s Day pastry, two mini viennoiseries, finger sandwiches and a fruit salad. Available February 14th to 17th, the experience costs $50 per person or $60 with a signature Ladurée cocktail. Prefer a romantic dessert at home? Two take-home options—each priced at $11—include pastries with either a poppy and cherry twist or a ginger-raspberry confit. 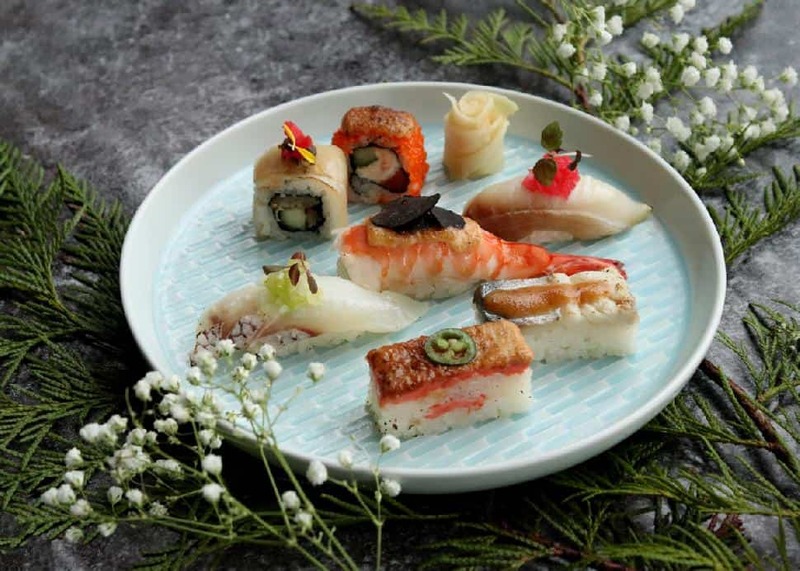 YuwaYuwa Japanese Cuisine will be offering special Valentine’s Day dishes a la carte, as well as a special omakase menu priced at $120 per person. The omakese requires a one-week advance reservation, while a la carte offerings include an aburi wagyu nigiri and a matcha roll cake with sweet asuki red bean cream and a black sugar ice cream. TemperAs always, the sweet treats continue to roll out at West Vancouver's Temper. 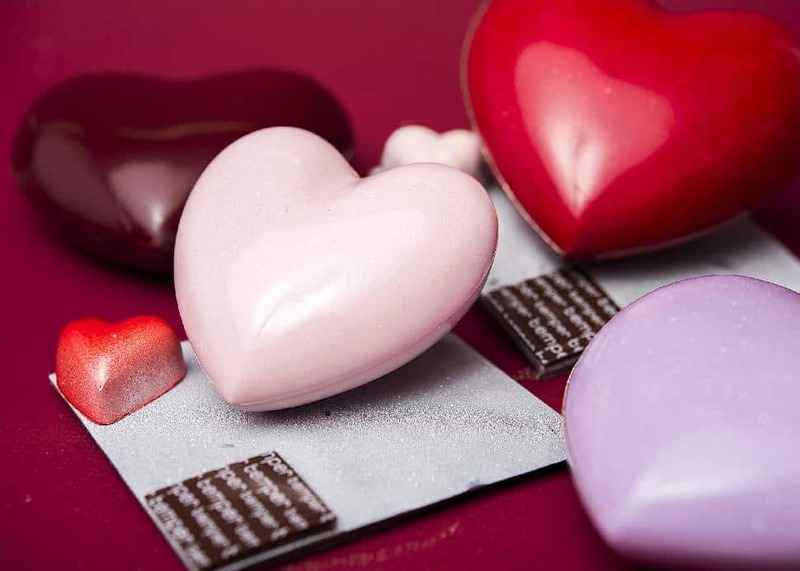 Individual chocolate hearts—strawberry and cream, milk chocolate with Bailey's or and caramel and dark chocolate—run $2.25 each, with boxes available at varying price points. Larger confections, like a heart-shaped chocolate caramel cake, are also a great take-home option. 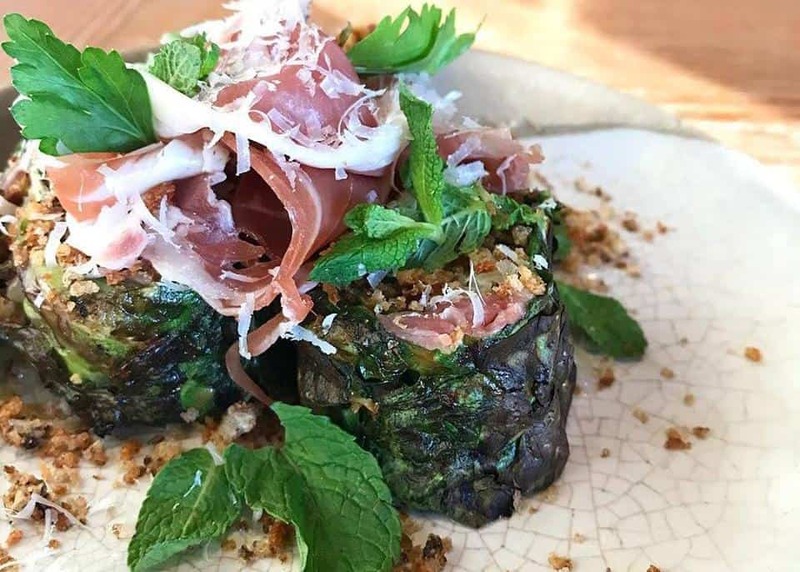 Farm-to-table dining excellence takes a romantic turn at Fable Kitchen. On February 14th, special four-course menus are available for $50 per person, with additional wine pairings available at $32.50 per person. Features include ling cod and elk options. At Fable's East Van outpost, the holiday is commemorated by two unique milkshakes: the red velvet option or the lover's boozy milkshake. 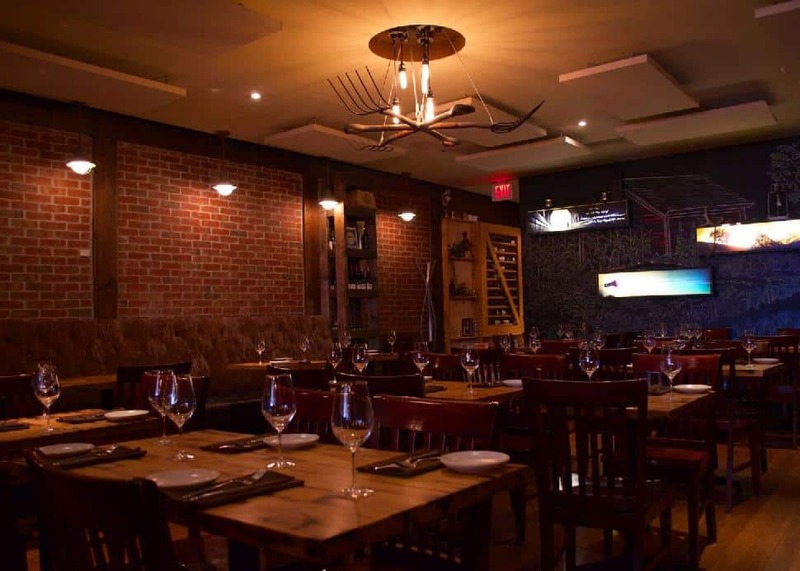 Jules BistroThe casual bistro favourite in Gastown is serving diners two courses for $29 per person or 3 courses for $35 per person, starting off with a bistro salad or soup du jour, followed by the choose of rib eye or steelhead or mussels with fries. A chocolate terrine finishes off the meal. 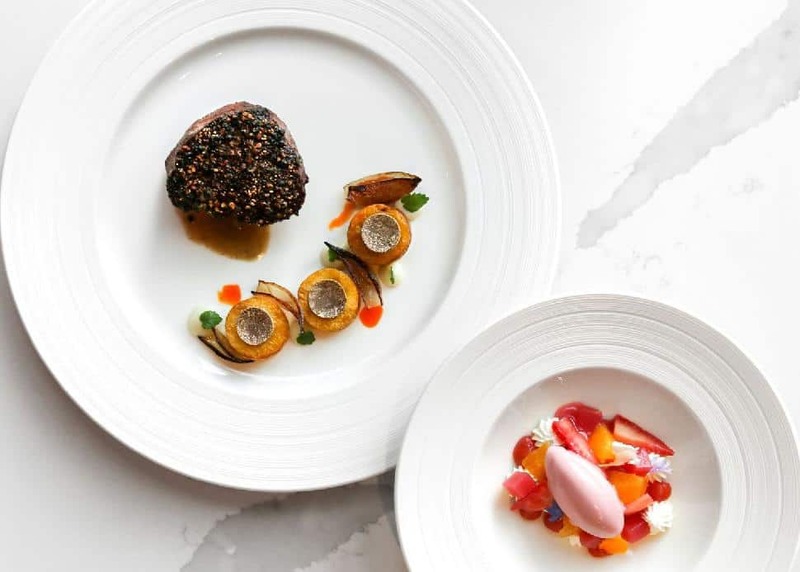 https://origoclub.ca/Chef David Pan adds Valentine’s Day charm to the menu on February 14th with an entrée of tenderloin pepper steak with parsnips and fennel for $55, plus a dessert of white peach, meringue and blood orange sorbet for $16. Each table also receives a special take-home box of handmade milk chocolate-passionfruit truffles. Cibo TrattoriaCibo Trattoria’s Valentine’s Day menu offers diners four courses of Italian-inspired fare, available as a set menu for $68 per person or a la carte. 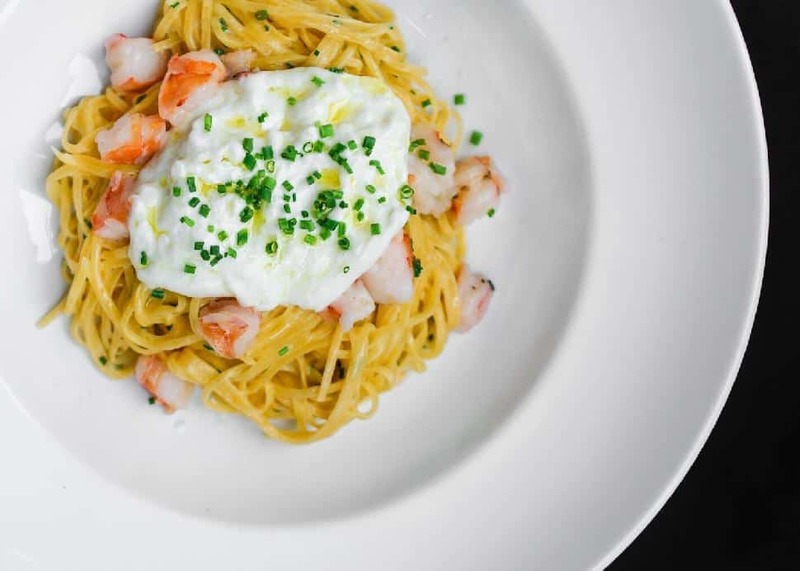 Scampi tagliolini and grilled rack of lamb followed by coffee-marscapone crepes? Please! UvaIn the mood for a nightcap after dinner? 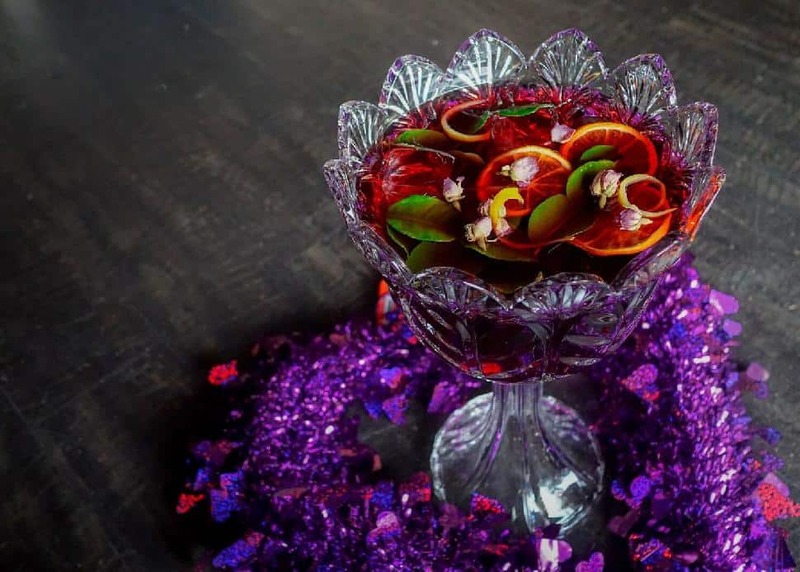 Uva will be debuting a special on-the-rocks elixir called Cupid’s Embrace, mixing rye, cassis, crème de violette, Lillet and Prosecco and finished with watermelon-radish petals. Tiki Bar at the WaldorfShare a little love on the 14th with the options at the Tiki Bar in East Van's famed Waldorf Hotel. The Kween's Punch is available in serving sizes for one, two... or four, with price tags of $13, $22 and $40 respectively. The cocktail blends house rum and vermouth with bitters and exotic juices. 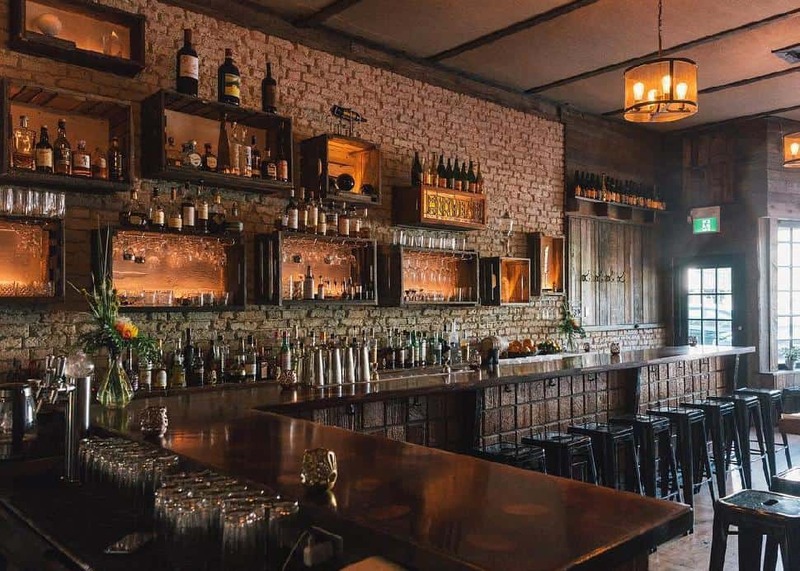 Facebook/Burdock and Co.Chef Andrea Carlson brings a farm-to-table feast to dishes in Mount Pleasant on February 14th. With a focus on farm-fresh veggies, sustainable seafood and ethically-raised meats, two seatings (5:30/6 p.m. and 8/8:30 p.m.) will amaze diners with a multi-course meal for $80 per person, with the option to add on features from their naturalist wine menu for a charge. 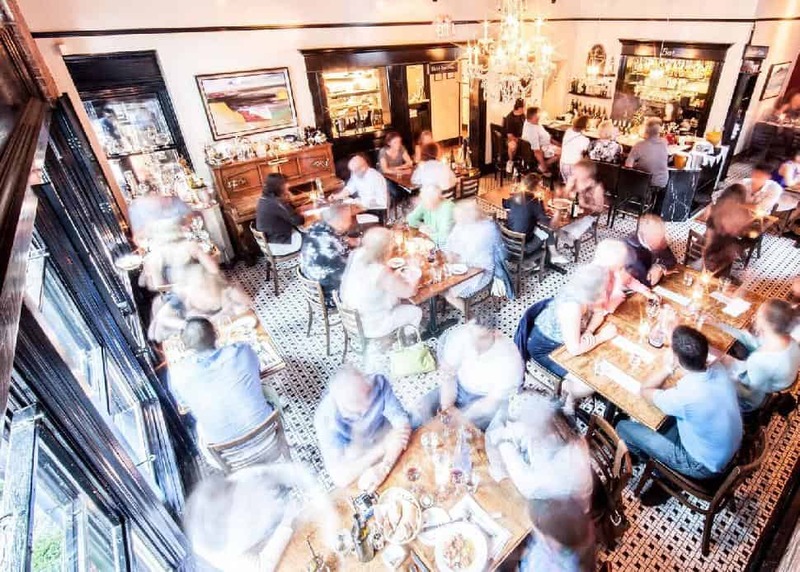 Facebook/Tableau Bar BistroTableau puts aside its regular menu for one night on February 14th in order to bring diners a set menu of French-influenced fare for $90 per diner. Options include a winter truffle salad or mushroom tart to start, followed by ling cod and lobster or a rack of lamb. A raspberry and vanilla macaron tops off the meal, and wine pairings are available for an additional $50. Tracey Ayton PhotographyIn addition to their popular menu, Homer Street Cafe and Bar's executive chef Jonathan Chovancek and chef de cuisine Tristen Katcher have planned a four-course menu, which runs $70 per person and presents diners with a fried chicken heart amuse bouche, followed by a choice of tuna or whipped chicken liver, and then either duck breast or steak Oscar for two. A chocolate ganache tarte or baked brie (for two) rounds out the Valentine's Day experience. 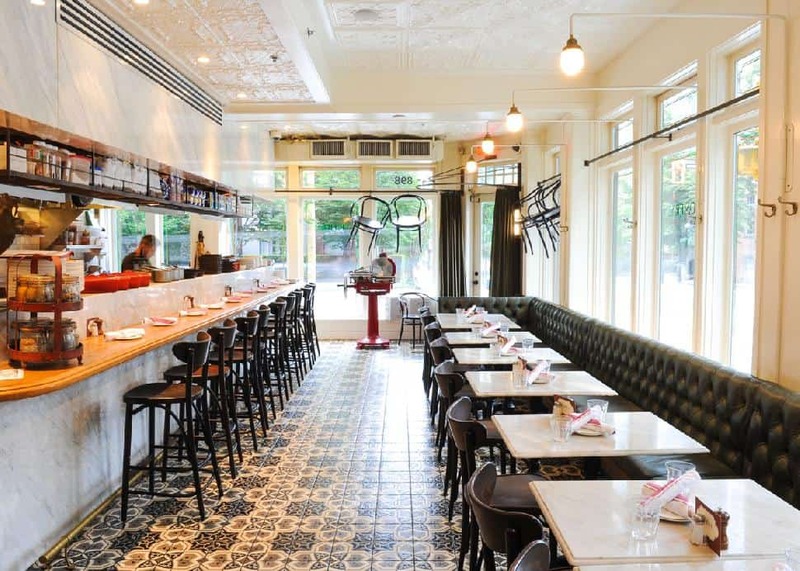 VerreThe recent Coal Harbour addition, Verre, celebrates its first Valentine's Day with a set menu for $75 per diner, plus the option to add wine pairings for $85 per couple. 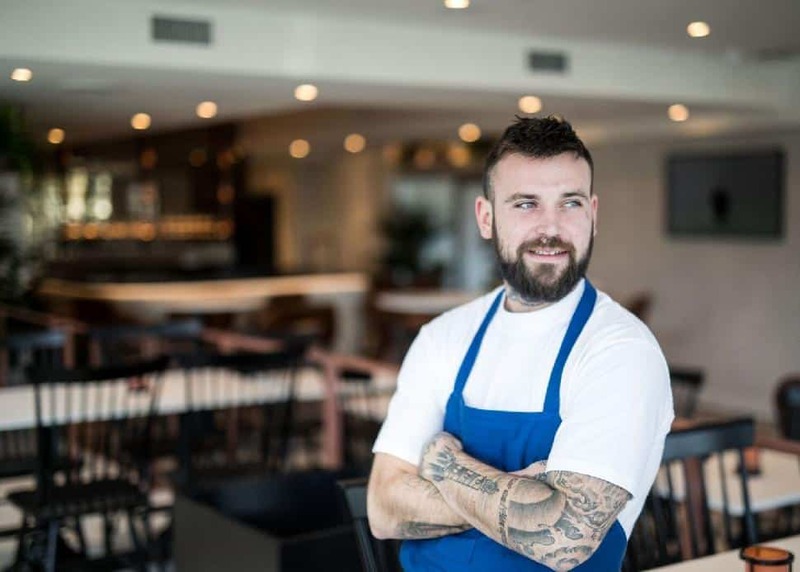 The five-course menu, created by owner and chef Liam Breen, includes a truffled duck rillette as an amuse bouche, followed by seared scallop and pork cheek, either black cod or tournedoa rossini and a chocolate and salted caramel crème brûlée for dessert. Sweet Pea PhotographyDinner and a show are on the menu at the Drive's Havana. 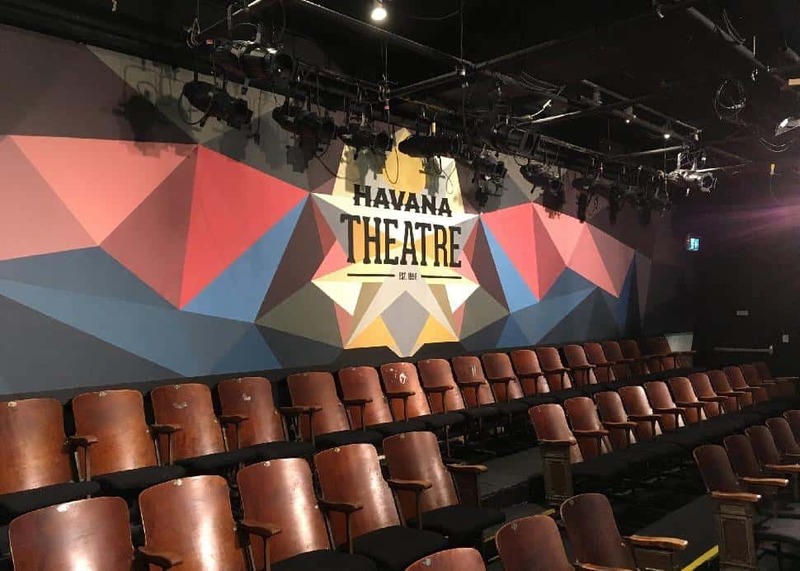 Cuban-meets-Pacific Northwest flavours for a four-course dinner menu, which is followed up a special improv show in the venue's theatre. Two seatings are available at 6:30 p.m. and 8 p.m., each running $55 per guest and including a complimentary glass of sparkling wine, the shared set menu for two and theatre seats. Here’s a sweet date night idea for you and your boo. 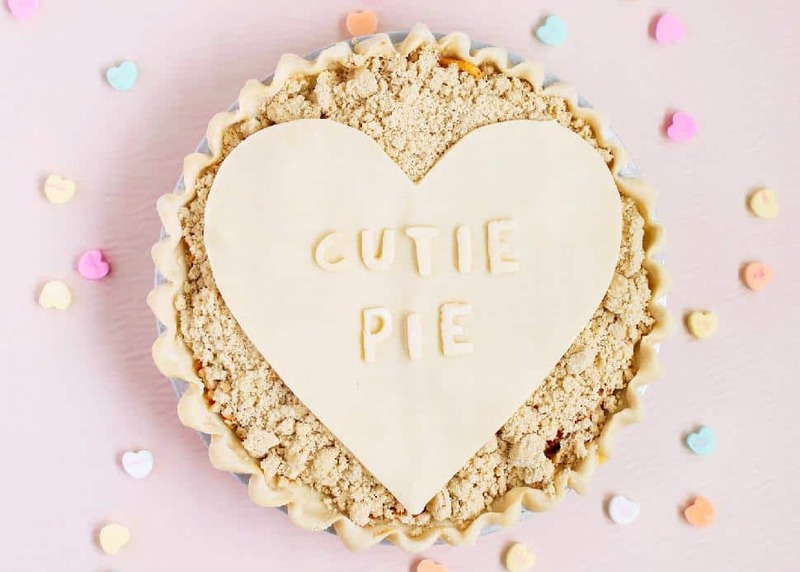 Vancouver’s The Pie Hole is offering two-for-one slices on Valentine’s Day from 4 p.m. to close at both their Vancouver and Burnaby locations (3497 Fraser Street and 7832 6th Street). Black Forest Pie: a dark chocolate creamy filling in a chocolate crumb crust, topped with B.C. cherry and Kirsch liqueur reduction, finished with whipped cream and chocolate ganache drizzle. Custom Sweetie Apple: a blend of tart Granny Smith and sweet Gala apples gently tossed in brown sugar with a hint of cinnamon, nutmeg and real vanilla enveloped in a double butter crust. Customize it with a sweet saying from one of The Pie Hole’s listed phrases or create your own. Eat Your Feelings Pie: a double-butter pie crust, a layer of fudgy rich brownie, edible chocolate oatmeal cookie dough topped with dark chocolate and Callebaut white chocolate ganache. Triple Chocolate Cream: a rich dark chocolate base, followed by a light and airy chocolate layer, topped with a whipped white chocolate ganache and dark chocolate curls dusted with gold. Red Velvet Pie: A classic dessert in a double-butter pie crust. The filling for this pie is so creamy and chocolatey (and not too sweet)—topped with a delicate cream cheese whipped top.